Description Cool, wet, cloudy weather with higher-than-normal river flows. Spectacular river plumes, suspended sediment and wind extend far into the waterways. Surface debris abundant. 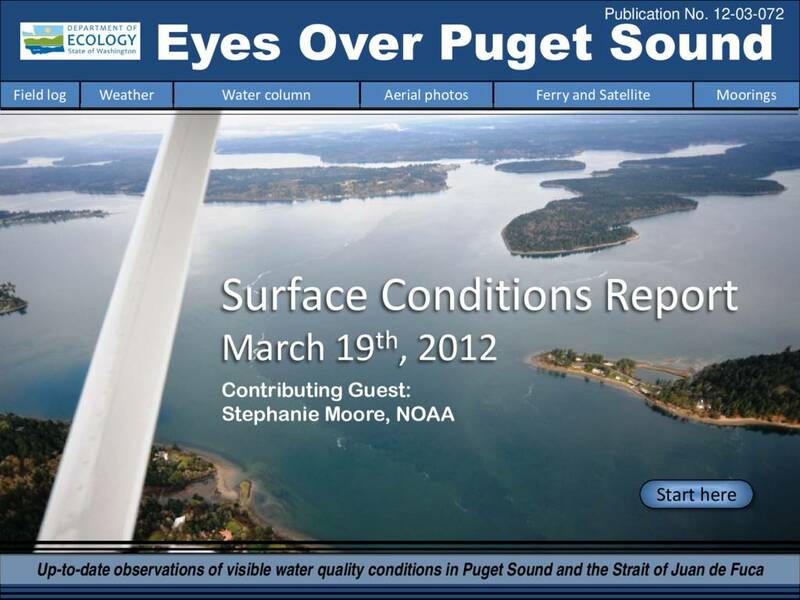 The freshwater layer in Whidbey Basin increased by 2 m matching high precipitation.